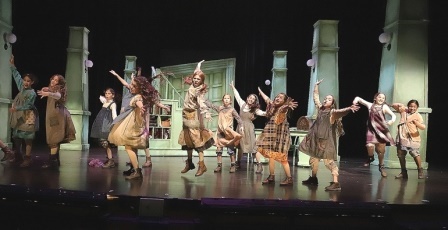 With a few minor (and one not-so-minor) modifications, producers Andrew De Prisco and Jess Levy and director/choreographer Al Blackstone have given “Annie” a fresh appearance without sacrificing its Depression-era flavor or its sentiment. Fortunately, they haven’t monkeyed with the terrific (often under-rated) score, opting instead to emphasize how it is played, sung and moved to. 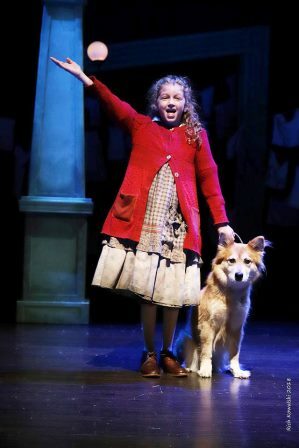 The result is an altogether winning “Annie,” which ends its limited run on Sunday, November 18 at the Axelrod Performing Arts Center in Deal, NJ. The ‘sentiment’ noted above refers to healthy, if simple, emotion (not icky sentimentality), and ‘moved to’ is apt because the smooth show feels choreographed throughout. 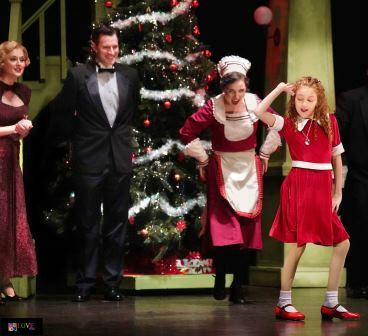 It is still “Annie,” as good as any I’ve seen, among many, and better than most. 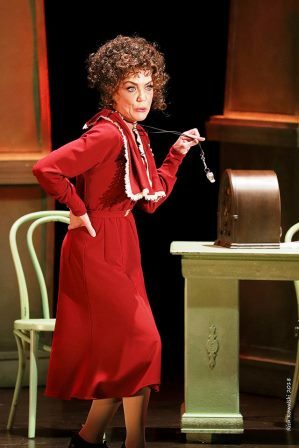 As Annie, Echo Diva Picone more than holds her own opposite the original. Her Annie is feisty, not pushy, and sweet, this side of sugary. Also a pitch-perfect singer, the Washington Township NJ elementary school student could well grow into her middle name. “Little Orphan Annie” began as a syndicated comic strip in 1924, based on an 1885 poem by James Whitcomb Riley. A few narrative books, several film adaptations and, of course, this musical, have kept the characters alive, so to speak, over the years. (The strip faded out in 2010.) Annie’s curly carrot-top and Daddy Warbucks’ sleek chrome-dome are iconic images. Well, guess what: neither of those images has made the leap (leapin’ lizards!) from comic strip to the Axelrod stage. Ms. Picone is a ginger alright, and a button-cute one, but this no-nonsense Annie wouldn’t be caught coming downstairs in a bright red fright-wig. (“What do you think this is, people?,” she’d say. “A comic strip?”) That omission alone humanizes the plucky kid. Framing the entire show as a story in a book being read by a young boy (Kristian Thaxton, excellent) also serves to downplay the cartoon factor. Ms. Picone aces “Tomorrow,” with Sandy (Marti) at her side; Jones wrings the sincere out of “Something Was Missing,” and the hard-working adult ensemble gets the sarcastic “We’d Like To Thank You (Herbert Hoover)” just right. Are there more irresistible roles in all of musical comedy than Rooster Hannigan and Lily St. Regis? Or a spiffier show-tune than “Easy Street”? 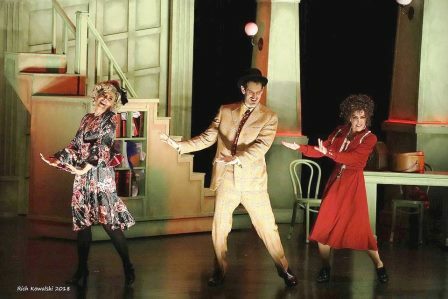 The only thing better than Andrew Hubacher and Lara Hayhurst playing those roles is that they get to do that song-and-dance trio number with Andrea McArdle. Worth the price, folks. Under Blackstone’s fluid direction, the scenes follow one another with minimal adjustments to Logan Greenwell’s spare-but-sufficient set, enhanced by Catherine Clark’s lighting design. Even the FDR scene, which can drag, moves apace, with Mark Megill evoking a kindly #32 without undue exaggeration. 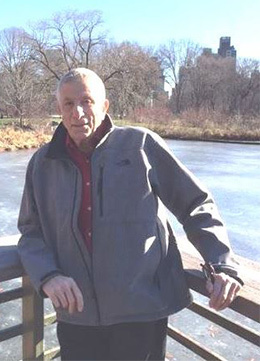 And a shout-out to Kevin Johnson, whose sound design avoids the over-amplification that has marred some shows in that venue. “Why any kid would want to be an orphan, I’ll never know,” says Miss Hannigan. Well, how ‘bout to appear in “Annie” with you, Ms. McArdle. 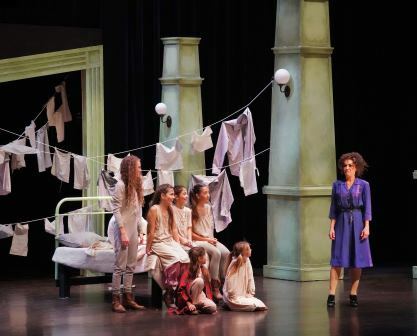 The super six (alphabetical order): Hannah Cohen, Taylor N. Kaplan, Courtney F. Mormino, Alexa Nicole Origlio, Valentina Joy Reale and Lily Anna Schechter – facing dreaded Miss Hannigan!